Description This beautiful sterling silver bangle holds all of the initials of your loved ones. 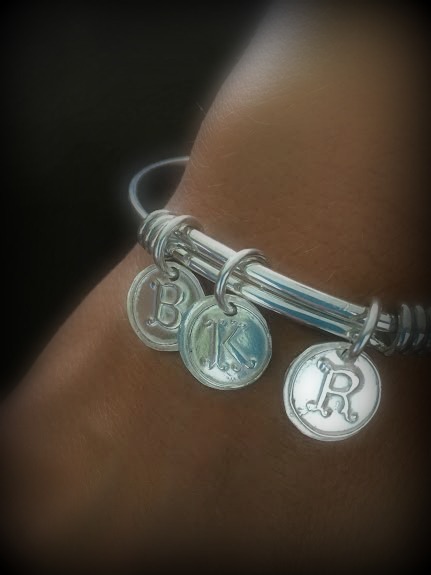 Personalize your bracelet with as many or as few initials as your heart desires! This bracelet fits the medium to large wrist. Also available in a thinner style which fits a smaller wrist (see Small Initial Charm Bangle). **Price includes bangle and 1 initial.